The names of the rides in Disneyland are vast, ranging from futuristic explorations to classic novels. What's fun to know about these titles is that even though you may go to the California resort on a regular basis, you probably still can't name every single ride there. So here's a list to help you out. Use it as part of a trivia game on your next road trip to the park or just keep it on hand as a reminder to ride each one on your next visit. 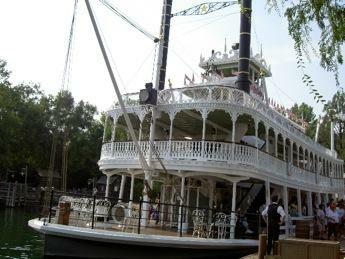 As of summer 2009, there were 34 rides at Disneyland, each one located nicely within its own sector of the park. This is an all-compassing list the names of rides in Disneyland. The park is much than this. It is also a world of fun and loving attractions, parades and restaurants. Have a memory of your favorite ride at Disneyland? Then share it in the comments section below.